Intermedia will make its cloud-based voice service, Hosted PBX, available as a new offering at select ADI locations across the United States. ADI dealers can leverage Intermedia’s Hosted PBX phone system to explore a new business model for voice services that offers monthly recurring revenue. Intermedia offers one-stop shop for cloud IT services and business applications to SMBs and channel partners. 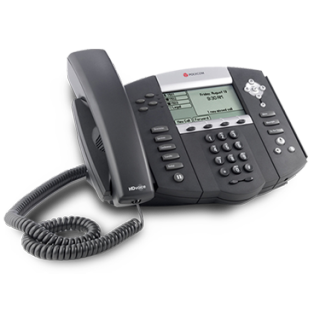 Its Hosted PBX phone service will allow ADI dealers to sell a cloud-based phone service on a per-seat basis. Hosted PBX is designed specifically for small and medium-sized businesses, and it typically offers significant cost savings over older, on-premises systems. This is a new offering for ADI dealers, allowing them to capitalize on the massive transition taking place as IT and telecom infrastructure moves into the cloud. It also offers ADI dealers the opportunity to earn recurring monthly revenue in addition to revenue on the initial installation. This new revenue model will make telecom service very attractive for them to sell. “At ADI, we are always looking for new technologies to help our dealers expand in today’s market,” said Andy Morra, vice president of marketing at ADI. “As cloud-based solutions continue to become more widespread, it was important for us to add cloud-based voice services. Intermedia is known for their service quality, ease of installation and capacity for large scale support, and we are looking forward to offering their solutions. Intermedia’s Hosted PBX offers more than 40 professional calling features from the cloud without requiring an onsite PBX or key system hardware. By eliminating installation, programming and maintenance, ADI dealers can focus on strengthening their customer relationships while building a strong recurring income business from Intermedia’s compensation model.